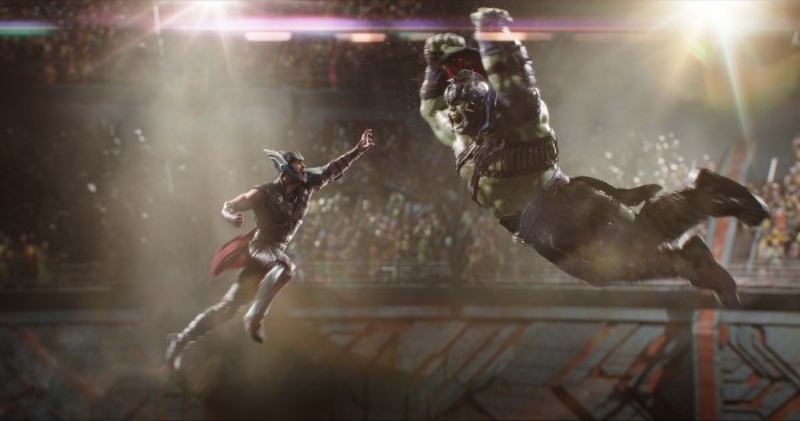 For the third film in a trilogy, Thor: Ragnarok is the liveliest one of the bunch. 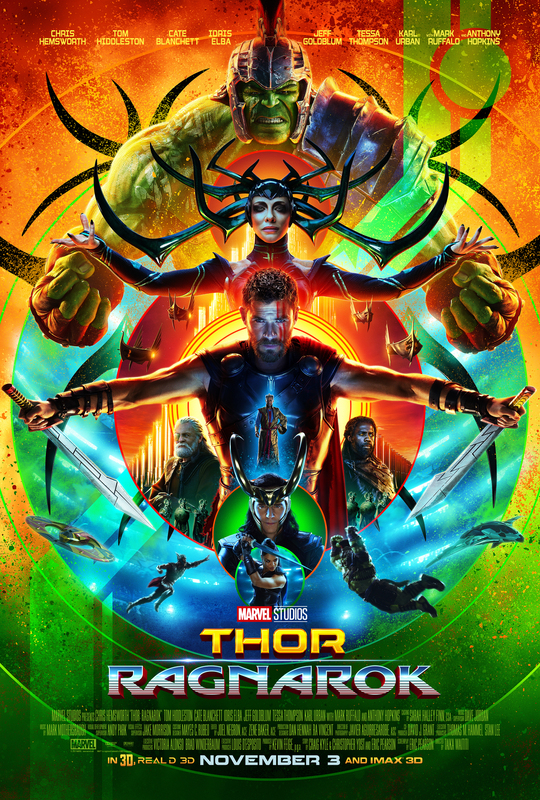 Frankly, after the dire and listless second film Thor: The Dark World, this third Thor film is a spectacular shot in the arm for the God of Thunder’s films set in the Marvel Cinematic Universe (MCU). Thor: Ragnarok quickly picks up where the second film left us, with Thor’s brother Loki (Tom Hiddleston) commanding the throne of otherworldly Asgard under the guise of their father Odin (Anthony Hopkins). Thor (Chris Hemsworth) quickly deduces what Loki is up to and the two find out the consequences of Loki’s actions. In Odin’s absence, the Nine Realms that he ruled over have slipped into anarchy. This also means that Hela (Cate Blanchett), the Goddess of Death, who was imprisoned by Odin to escape and wreck havoc on Asgard. Before Thor could stop her, he is accidentally transported to the planet Sakaar, taken captive and forced to fight in gladiator-type games held by the planet’s ruler, the Grandmaster (Jeff Goldblum). As we all saw in the trailers, Thor’s opponent is the Hulk (Mark Ruffalo), who was last seen going into self exile in Avengers: Age of Ultron. Thor must find a way to stay alive, escape his enslavement and convince the Hulk to join him in saving Asgard from Hela. Now reading the above makes you think this will be another serious-minded Thor film with high stakes and Shakespearean undertones. But that isn’t the case with Thor: Ragnarok. 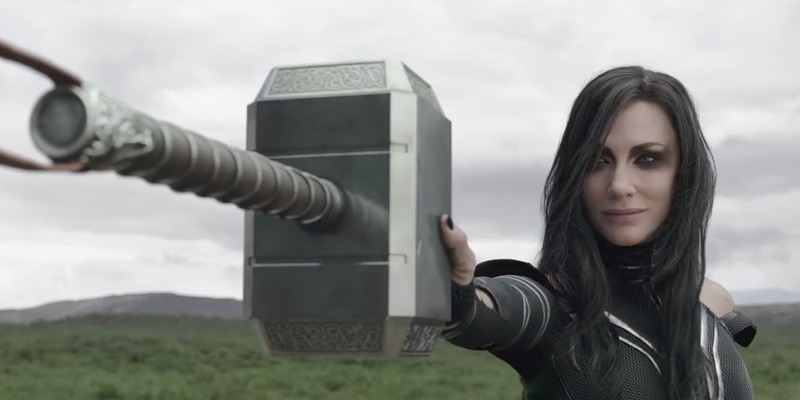 The somber approach worked in the first Thor film thanks to the skillful hands of Kenneth Branagh, who is familiar with Shakespearean drama and brought that to Thor. 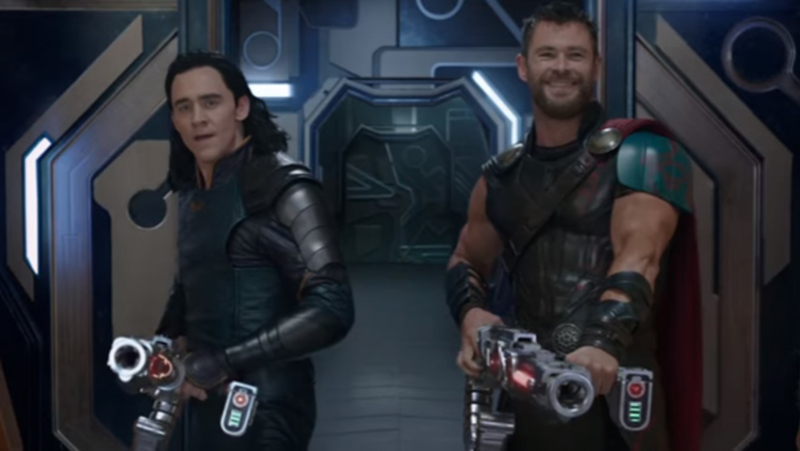 But this time, Thor: Ragnarok’s director Taika Waititi relied on his comedic tastes and background for the film. In doing so, he brought a welcome change of pace and mood this time around as this film is more of a comedy. This approach mostly works though I have to admit there are times there are just a tad too many jokes and there are moments that should’ve had more weight but come off as too light. It’s clear that Marvel Studios wanted to repeat the look and formula that worked for Guardians of the Galaxy and this is very evident in the scenes taking place on Sakaar. The Guardians of the Galaxy films perfectly balanced its comedic tone with serious drama but Thor: Ragnarok comes up a bit short in keeping that balance.